​​Yasiel Puig has never been afraid to speak his mind. 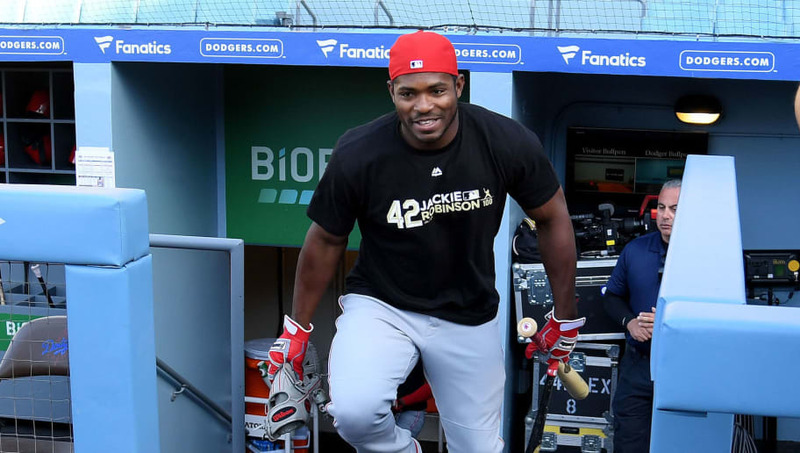 Puig is making his return to ​Los Angeles after being traded to Cincinnati this offseason in a deal which featured several prominent Dodgers. Despite the crude nature of the business side of sports, this was an appropriate deal for both sides, as Puig needed a fresh start somewhere his antics might be...how should we put this...better appreciated. On Monday night, Puig made sure the Dodgers knew exactly where he stood. Yasiel Puig, in Spanish: "I don’t know how many people, how many fans have been coming here. But I’m sure when I played here there were more fans than there are now." Dodger Stadium is notorious for their attendance numbers. When the team is playing well, fans pour into Chavez Ravine. When they're struggling, or lack the appropriate star power, there are plenty of empty seats. While we don't have the numbers in front of us, it's tough to match LA's attendance when Puig burst onto the scene in 2013. The Cuban outfielder had a red-hot start with Los Angeles, leading his team to the postseason in the process. Yet, towards the end of his tenure, some fans and the majority of the media painted him in a negative light (deservedly so in some cases). Because of this, there is some bad blood, which will be on full display in this series.